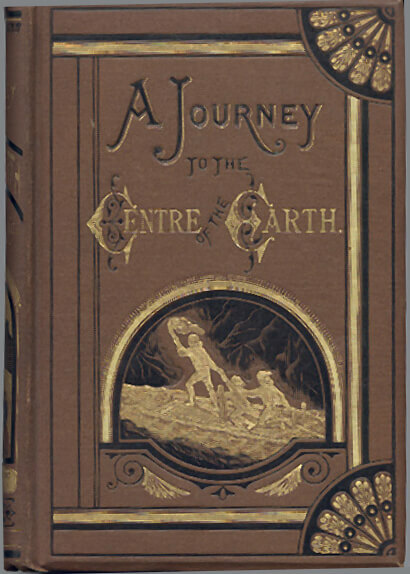 A Journey to the Center of the Earth , alternatively translated as A Journey to the Interior of the Earth is Verne's subterranean science fiction novel about interconnecting volcanic tubes providing access to the earth's core. A German professor, his nephew, and their guide descend into an Icelandic volcano, and come back through a volcano across the world in southern Italy. They encounter numerous hazards and prehistoric beasts, making this 1864 novel a timeless classic! The book is featured in our guide to Science Fiction and Books for Young Readers.